Getting out of debt requires determination, motivation, and a solid strategy. It takes time and persistence. I should know. 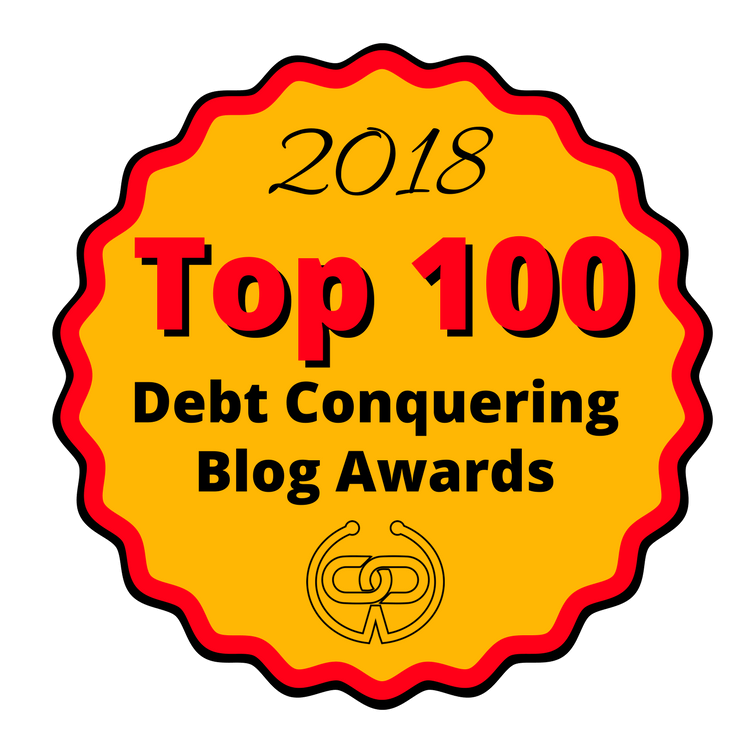 Long-time readers of this blog know that my debt repayment journey has seemed steady but had many ups and downs over the past two years. I changed my debt repayment goals and focus several times and there have also been times when I’ve felt completely defeated and unmotivated to continue. When it comes to replenishing your motivation and determination to pay off debt, there are plenty of personal finance books you can read to help. Some of which can even help you with your debt payoff strategy. People favor different learning formats. So if you love reading books, this common hobby can really help you with your debt payoff. Here are 4 personal finance books to start reading if you want to get out of debt. I love this book! Hustle Away Debt was written by David Carlson who runs the personal finance blog Young Adult Money. David and his wife have a lot of student loan debt, but he side hustles like crazy and wrote this book to highlight some of the best side hustles to try in order to increase your income. One of the best ways to pay off your debt faster is to earn extra money through a side hustle. During my first year of debt repayment, I was only earning $15/hour. I’ve never shared that openly on the blog until now because I believe it’s a crucial part of my story. Yet and still, I paid off $11,000 of debt thanks in large part to my side hustle. In Hustle Away Debt, I like how David confirms the fact that you don’t have to settle for the income you earn from your job and you can give yourself a raise and start earning more on the side. He offers information on several unique side hustles along with plenty of anecdotes and in-depth examples so there is something for everyone regardless of what your interests and skills are. Knowing which side hustle is right for you is key because it ensures you’ll be able to sustain it long enough to pay off your debt and this book will help you do that. You Only Live Once is another one of my favorite books and it’s from Jason Vitug. It’s a great book about personal finance, but I highly recommend it if you’re in debt because it challenges you to think about life after debt and what you truly want to do with your money. Many of us have heard the phrase ‘YOLO’ before and unfortunately, people use it as an excuse to do silly things on impulse because they only live once and why not, right? Wrong. This book is all about improving your finances and using money as a tool to live the most fulfilling life. Since we only live once on this Earth, why not treat your money right and use it to help you live your dream life? Jason is the founder of the personal finance website, Phroogal and he’s the founder of the Road to Financial Wellness, a nationwide event. This book is broken down into three main categories: awareness, creating a plan, and taking control. Jason mentions his past and history with money which involves always wanting more of it, then trying to keep up with the Joneses only to still feel unfulfilled with his life. Often times, debt repayment is only the beginning of your financial journey. You often need to change your money habits, develop a vision for your life, and set the right goals to get ahead long-term. This book can help you with that. How to Get Out Of Debt, Stay Out of Debt, and Live Prosperously is a great book to read if you’re longing to become debt free but are still unsure about how you’ll get there. If you’re currently looking at a mountain of debt right now and have no idea where to start, you’re not alone. Many of us have felt like we’ve been on an uphill battle with debt payoff but this book will help you manage your debt, and create a plan to free yourself from it. This book is written by Jerrold Mundis offers practical tips and advice to help you cope with your debt and start implementing simple strategies to get rid of it once and for all. The Debt Escape Plan by Beverly Harzog is super relatable and motivates you to take actionable steps to pay down your debt. Beverly refers to herself as a former credit card junkie who racked up thousands of dollars in credit card debt during a decade of overspending. Yes, you read that right. She spent more than 10 years overspending and was still able to fix her money issues and get out of debt and in 2 years time too. You can do it too and if you’re drowning in credit card debt, this book is a must read! Credit card debt is the worst in my opinion because it comes with a high-interest rate and tons of temptation. Unlike student loan debt, it’s super easy to get back in credit card debt repeatedly especially if you can’t control your spending. Beverly’s book takes conventional finance advice to the next level as she uses her story and lessons learned to help readers create a plan to conquer and stay out of credit card debt. How Bad Do You Want to Get Out of Debt? It all comes down to this question? If you really want to become debt free, you already have the determination. Now, you just need the motivation and a strategy that works best for you. These 4 books can help. As I said before, everyone learns differently and resonates with different material. Many people have paid off thousands of dollars of debt because they picked up a helpful book that prompted them to take action. Books are just one of the many resources out there that can help you pay down your debt. Whichever solution you choose to help you improve your financial situation, just realize that it won’t work unless you do so be sure to take action. Have you ever heard of any of these books? What resources have helped you so far during your debt repayment journey? Sign up today to receive free printables like my student loan repayment checklist which helped me pay off $10,000 of student loan debt last year and receive weekly email updates. Love the new blog design! Sorry if I’m a little late to the game on noticing. I read most of the posts on BlogLovin’! All of these books sound wonderful! I wonder if any of them are available through my library’s online services. Thanks and no worries, I just got it updated this week! Some of these books are newer, but it’s definitely worth a try. Thanks for sharing these, I really need to start reading some finance books. I’ve never read any! Thanks for this list. I just bookmarked this page to refer to when I need new reading material. Well said! I’m so glad you didn’t listen to those people who doubted you. Over time, I’ve learned that success and anything worth having is worth putting in the hard work to get it.